This February, the V&A opens its doors to the breathtaking exhibition of Christian Dior: Designer of Dreams. Fashion photography and original illustrations will feature alongside the fabulous couture gowns. 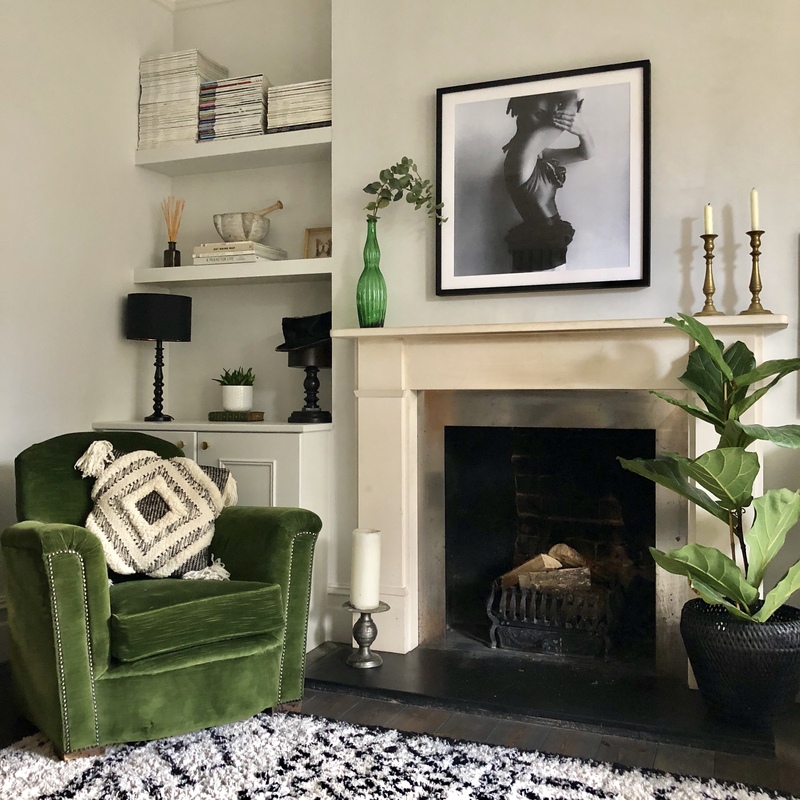 Introduce front row flair into your home by delving into our archive of Vogue prints, featuring some of the world's most iconic designers, captured by the leading photographers of their day. 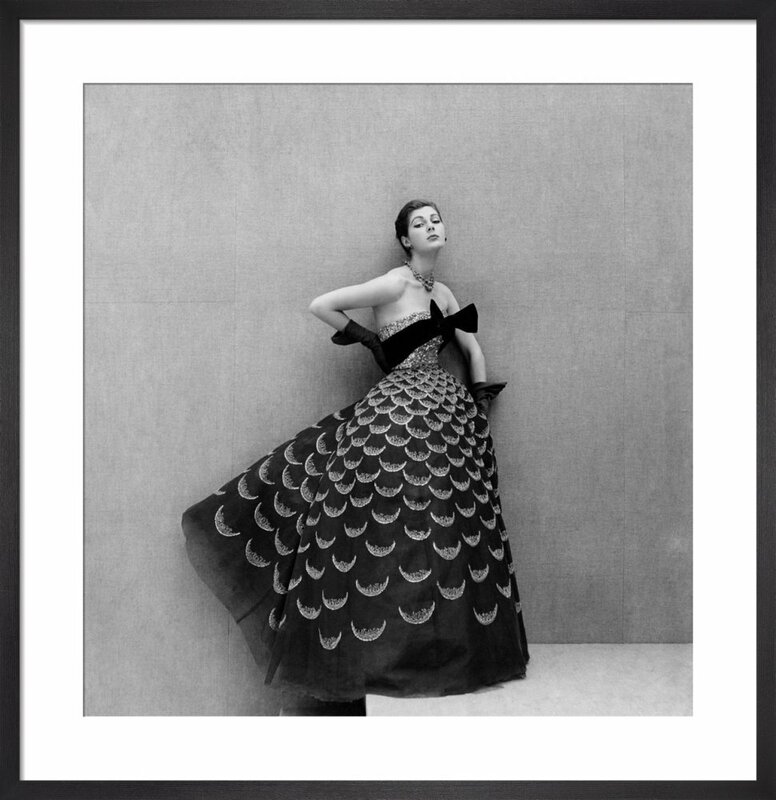 We have hand picked an amazing edit of images, all featuring Dior dresses! A captivating photograph taken at the Grand Trianon in Versailles. The model wears Dior's intricate evening gown in pearl grey satin with asymmetric neckline and single sleeve. A swathed shoulder reveals a bare back whilst the fullness of the skirt flows from double inverted pleats. 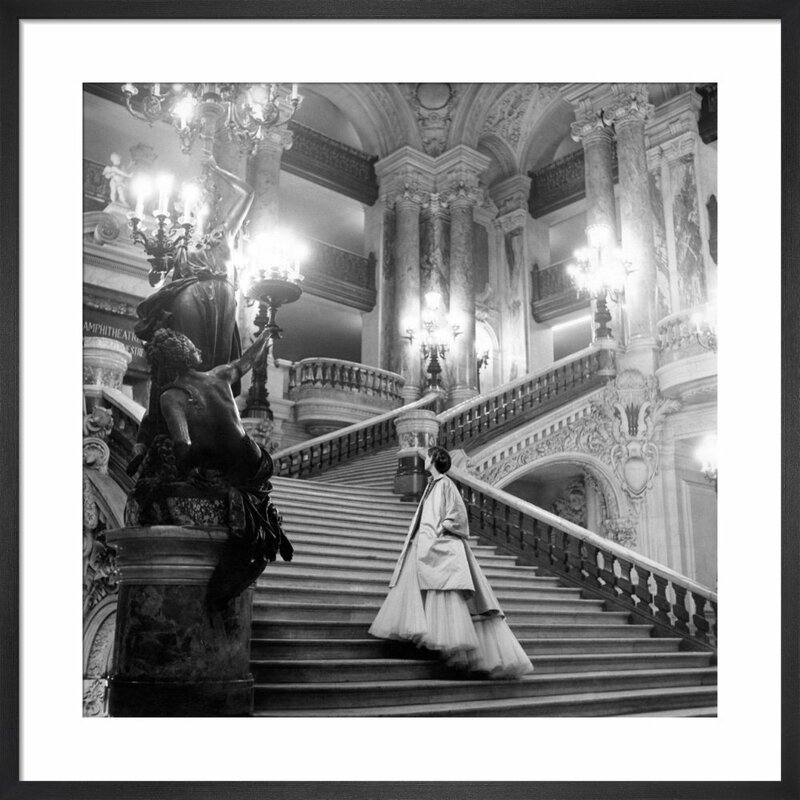 This photograph was captured on the Grand Staircase at the Palais Garnier opera house. The dress features an embroidered bodice on white strapless tulle beneath a Louis XV pale blue satin evening coat edged with gold lace. 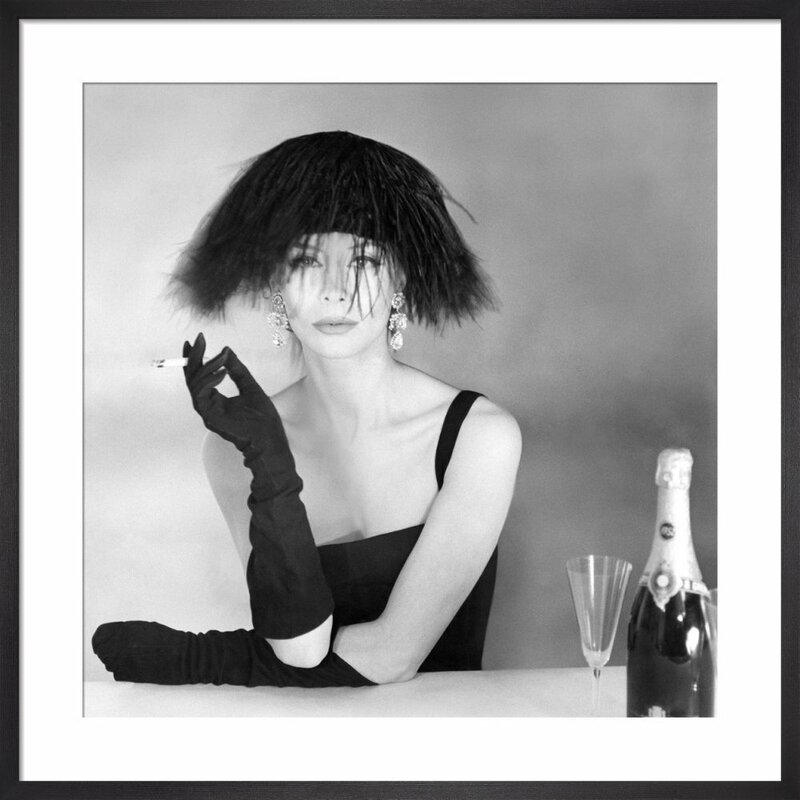 This dramatic mop hat boasts jet black ostrich feathers and was made by the milliner Simone Mirman whom Dior worked closely with during his career. The model oozes sophistication with a degree of nonchalance and shows off Dior’s sparkling earrings of elegant Georgian design. This striking piece of fashion photography features a Dior taffeta underbodice with rose ruffles at the chest and a ruffled hip. 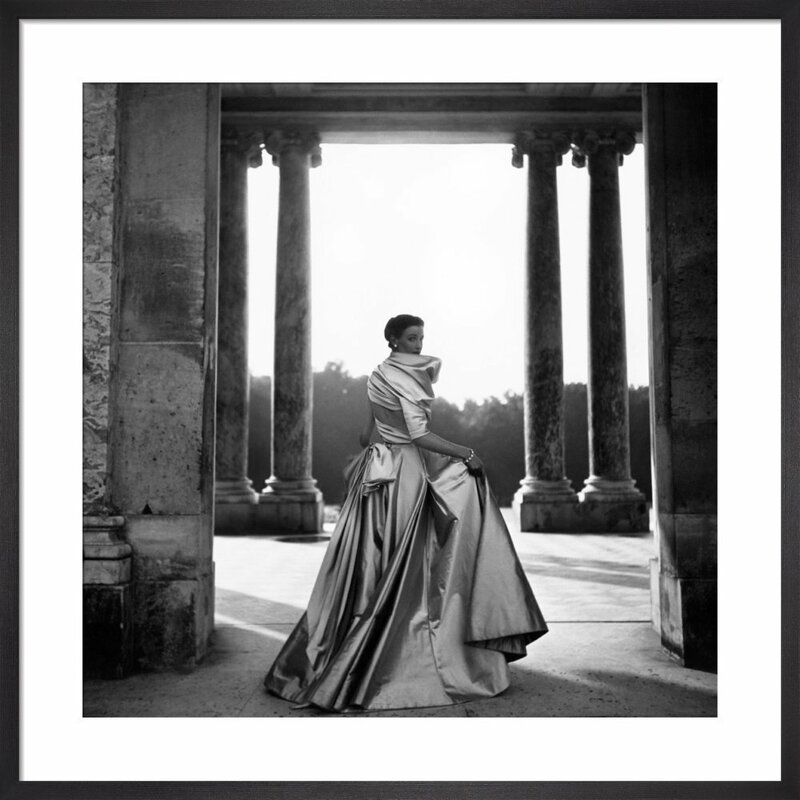 Photographer Clifford Coffin produced cutting edge photography, synonymous with Vogue's vision at the time. 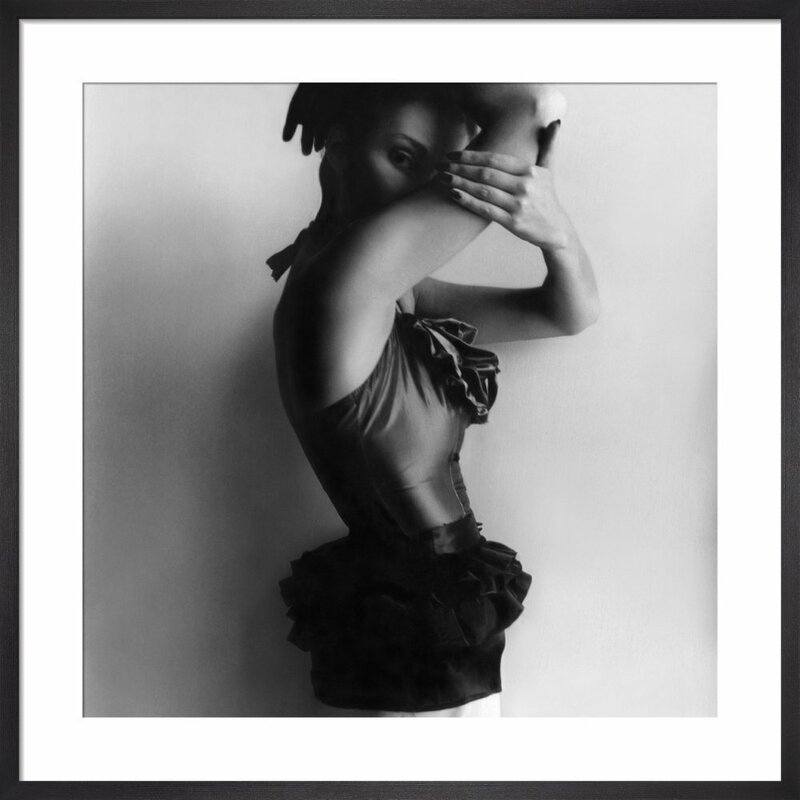 Coffin's prints offer a truly beautiful collection of fashion images to grace any wall. 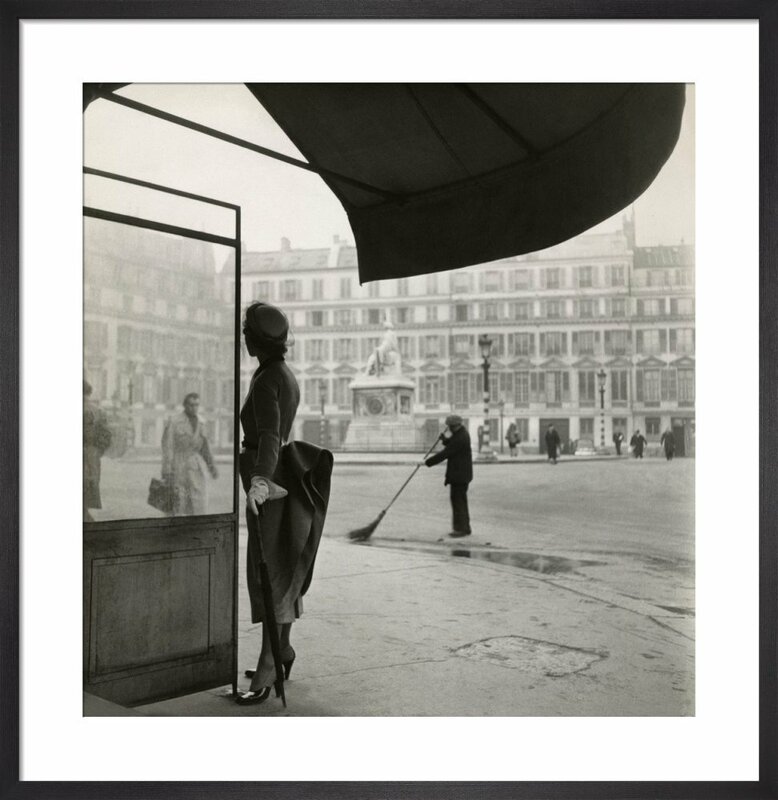 Photographer Henry Clarke captures Dior's monochromatic dress in a featherweight creamy brown net. The gilt crescent moons graduate in size, carrying the eye up to the molten bodice and culminating in a brown velvet ribbon, slanting to a bow which wraps the dress into a hold. This interesting photograph creates a backdrop of movement whilst distinguishing the well-dressed model. Dior’s black and white check wool dress features an enveloped skirt, styled with a blue straw hat with a turned-up brim. In 1948, Paris had important neckline news! 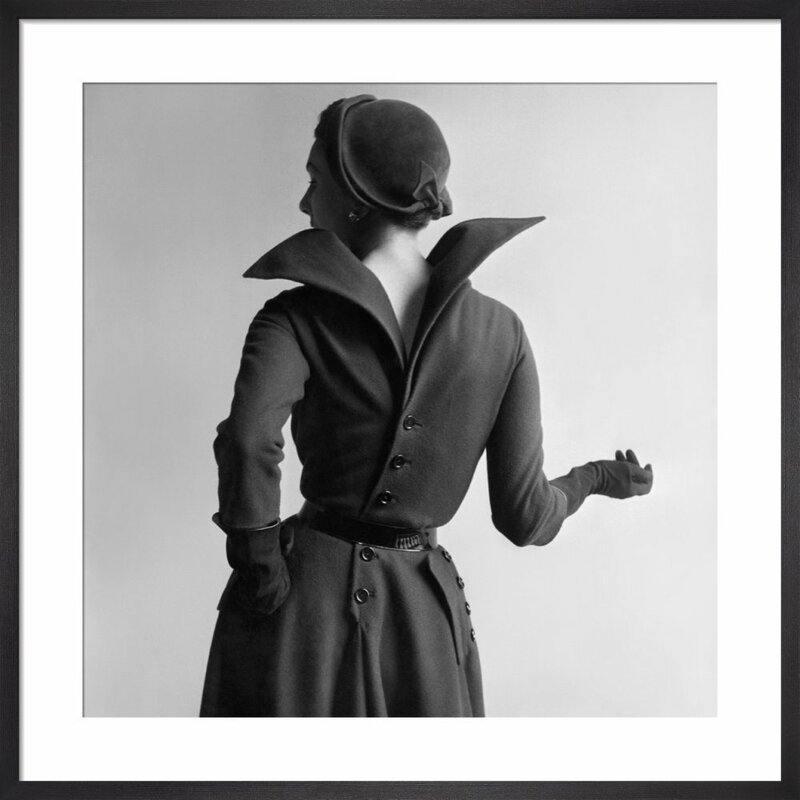 Dior's wing-back décolleté on a back-buttoned wool dress is an exceptional piece in haute couture and is complimented with a closed velour cloche.